pre-soak clothes for tough dried-in stains: 1 pod for sink full of water. Toss pod into water and mix until dissolved. 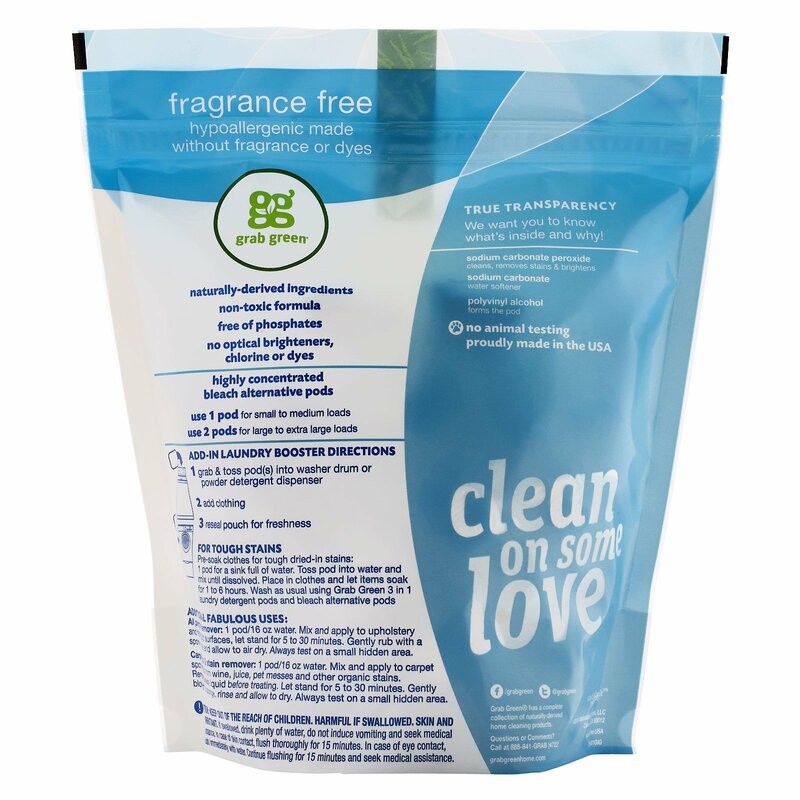 Place in clothes and let items soak for 1 to 6 hours. 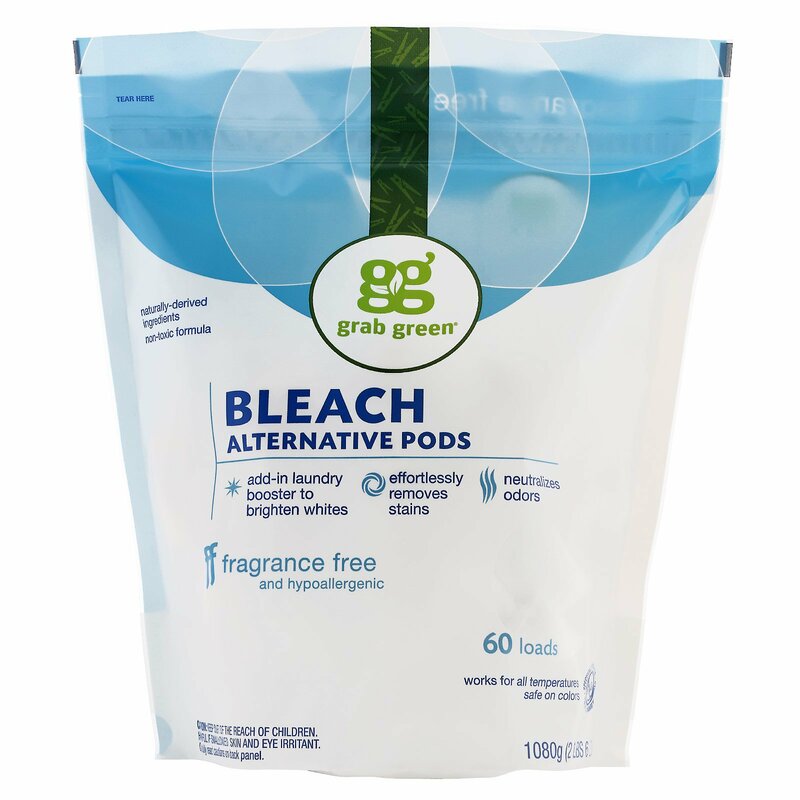 Wash as usual using Grab Green 3 in 1 laundry detergent pods and bleach alternative pods.